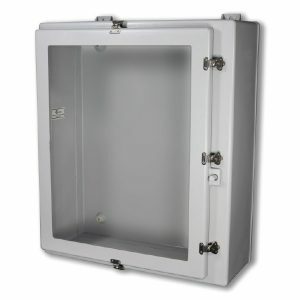 Triton (T) Series enclosures are used where heavy industrial equipment needs protection. 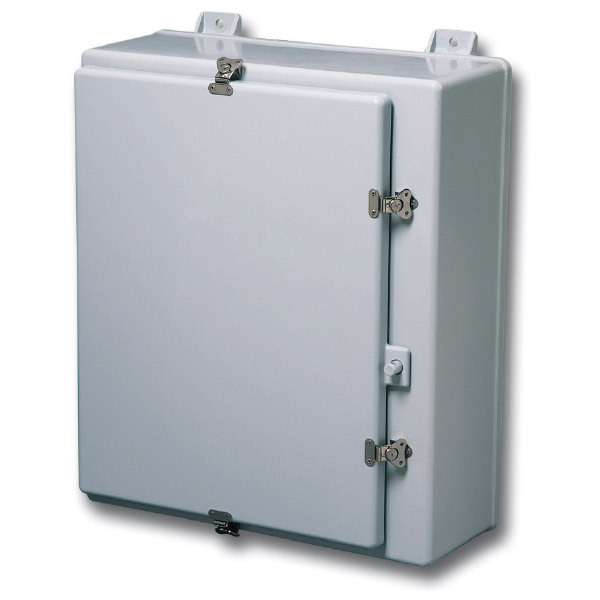 These fiberglass-reinforced polyester enclosures are ideal for the mounting of high voltage electrical systems where wiring needs sufficient bend radius to enter the cabinet. They are perfect for applications involving diverse environmental conditions. Triton’s rating is built to meet rugged construction requirements and offer protection against falling rain and sleet and remain undamaged by external ice formation. Integral mounting feet enable easy installation. 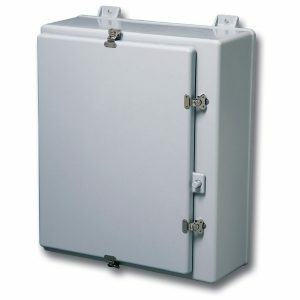 In addition to wall mounted control enclosures, the Triton Series offers large and freestanding enclosures. These are dimensionally large enclosures (48 x 36 to 90 x 72). The Triton Series has been designed for use in larger industrial control systems and machine tool control panels. They provide a rugged cabinet for use in both indoor and outdoor applications and across a range of difficult environments. These larger size wall mount or freestanding enclosures are designed for the maximum available space for electrical, hydraulic, or mechanical control circuits. The Triton series is used in a daunting range of environmental conditions. A high level of protection is required in conditions involving water, chemical wash-down, wind-blown dust, rain, sleet and external ice formation. An aggressive sealing system is used to meet these rigorous demands. Triton’s stainless steel hinged, latched down cover series is a natural choice for process control where moisture or chemical environments require unique protection.